Between 2001-2005, Palisades Toys produced what is perhaps the single greatest toy line, ever (no hyperbole there. I hate hyperbole). 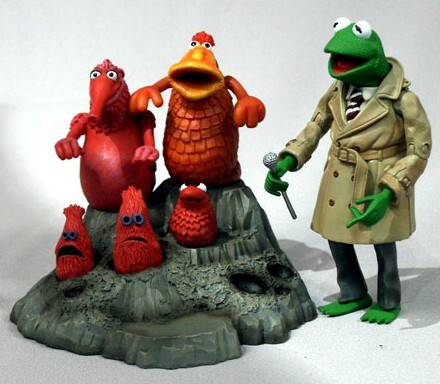 Originally a celebration of the 25 anniversary of the Muppet Show, the resulting 9 series (and many exclusives) of Muppet toys were a love song to the creations of Jim Henson (Palisades also produced a limited series of Pink Panther figures of equal quality). The company went bankrupt in 2006, resulting in many announced figures being cancelled, including the first wave of Sesame Street figures, which would have brought the likes of Bert and Ernie, Oscar the Grouch, and Guy Smilie to the same fully realised form. 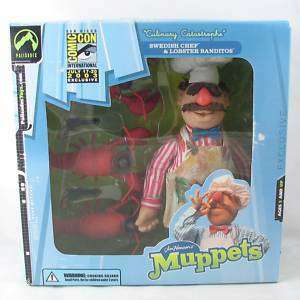 Collectors have since regarded the Muppet line as something of lightning in a bottle, achieving so much in a short amount of time, and with a level of quality that can't be hoped to be matched. That no other company has tried to pick up where Palisades left off is both surprising, and understandable. Would you want to follow them? Below, I look at the 9 best figures produced by Palisades. Not best in terms of over all quality, but best in that against all odds, these things exist, and the world is the better for it. Hit the jump for the list. 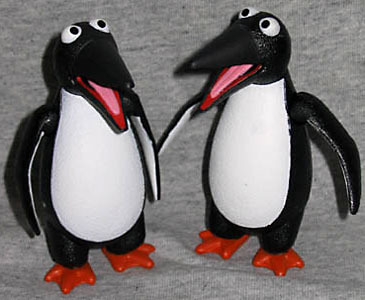 Penguins, perhaps more then anything, best encapsulate the absurdity of Henson's creation. Yes, there are bears and pigs and chickens and things running around, but it all seems somehow normal. The guests accept these things. And then, occasionally, there are penguins. Gruff, slightly rude penguins. And that they exist in toy form is almost beautiful. Yes, there is a Kermit, a Fozzie, a Gonzo and the rest. That is expected. They are icons. But occasionally, there are penguins. The Palisades line could become unusually specific at times with what they chose to create (more on that below). Even if they assumed they'd be making these figures for years to come, some of the choices were unusual. For instance, the Lobster Banditos, a trio of Mexian lobsters who appeared in seven episodes, often to terrorise the Swedish Chef. The figures come complete with sombreros, moustaches and pistolas. 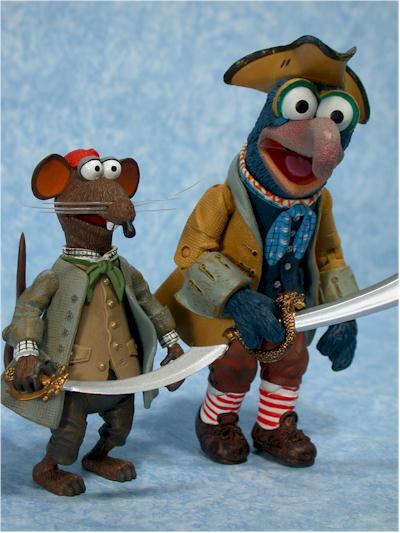 For whatever reason, towards the end of the Palisades run, they made a lot (relatively to the rest)x of Muppet Treasure Island specific figures: Captain Smollett, two variations of Sam Arrow, Polly, and the Cabin Boy versions of Gonzo and Rizzo. Now, a sensibly person would ask why Treasure Island and not Christmas Carol, and they would be correct, that is a highly valid question, and I can only assume the answer has something to do with the licensing rights. But in the absence of a Charles Dickens Gonzo and Rizzo set, these will do. Kermit the Frog for Sesame Street news is as iconic a role as Kermit himself, and one that Palisades couldn't adapt because of the aforementioned licencing rights (though they would later acquire the Street rights, thus retroactively making reporter Kermit one of only two Street figures produced). Luckily, Kermit did play his reporter alter ego on the Muppet Show, reporting from the planet Koozbane, where the natives reproduce by throwing themselves at each other at high speeds and exploding. Why wouldn't you make a play set out of that? This figure was the largest Palisades produced. It was so big and heavy that it couldn't be boxed with the Back Stage play set as intended (more on that later), and had to be sold by himself. Literally, by himself. 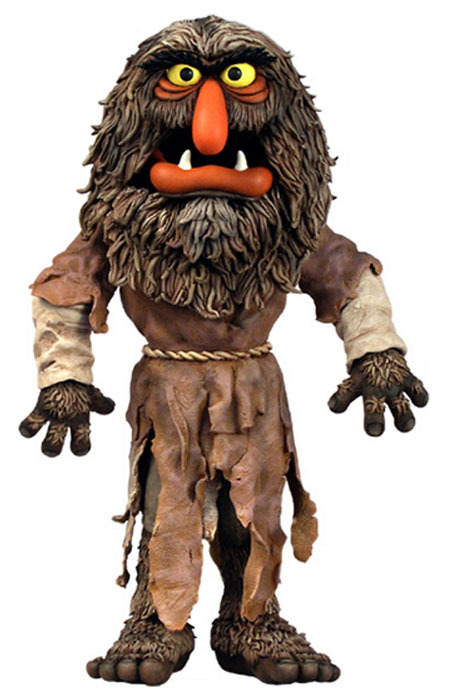 One of the hallmarks of the line was the sheer number of accessories that were included with each figure, but Sweetums stands alone. Though, after the fact, the Robin figure fits perfectly in his hand. The Steve Martin episode was another sticking point with Palisades, producing several figures based on their appearance in that specific episode. 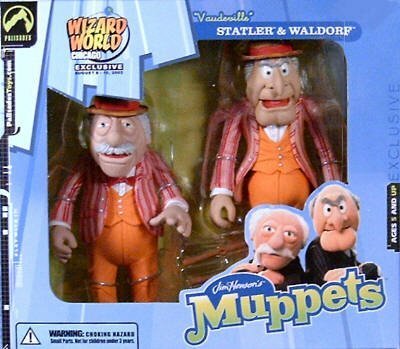 Perhaps oddest of all was the Vaudeville Statler and Waldorf, released before the conventional Statler and Waldorf figures (who would be sold separately), and memorialise one of the few times the hecklers were part of the stage show (OK, just the auditions, but you get my meaning). They released a mega version of Gonzo and Beaker as well, but only with Mega Animal can you reenact the "instra-grow" scene from The Muppet Movie. Palisades released five major play sets during their production years: Chef's Kitchen (with Chef), Muppet labs (with Beaker), Electric Mayhem band stand (with Animal), Swinetrek bridge (with First Mate Piggy), and the creme-de-la-creme, the full Backstage. Complete with Kermit's desk, the stairs heading up to the dressing rooms, stairs heading down to the exit, and mounting places for many of the accessories that had come with the figures. The Backstage was also the only way to get the standard Rowlf figure, previously only released dressed in a tux. Considering that Henson viewed Rowlf, not Kermit, as his signature character, the rarity of the figure seems almost reverent. Of course, there can be only one truly great toy of the line, and it could only be the one they made of Jim. 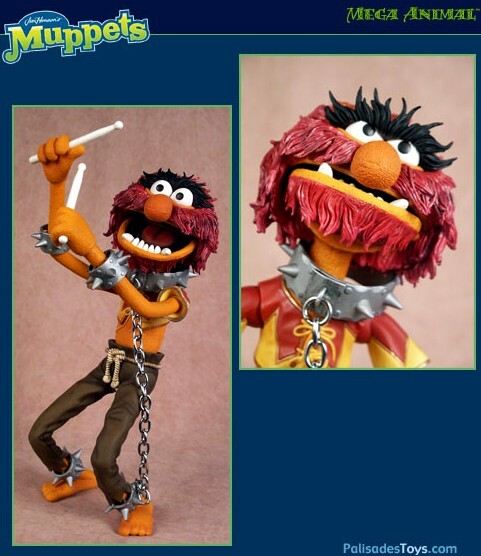 Based on the appearance of the Henson Muppet used in the Country Trio (the universe is cruel enough that the Frank Oz and Jerry Nelson companion figures will never exist), the company consulted Henson's family on the design on the figure's pants, a feature the original Muppet lacked. 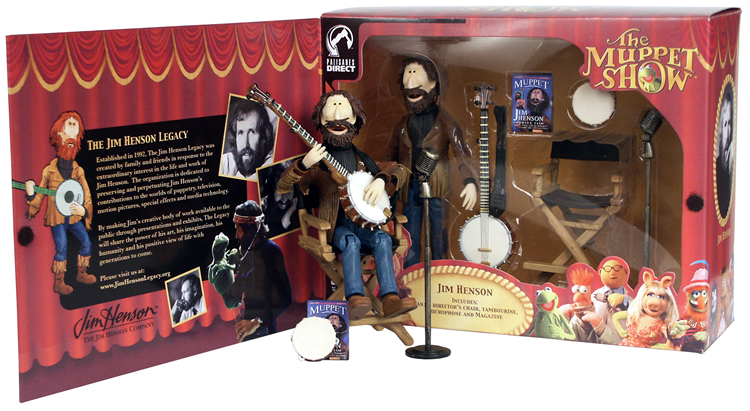 It comes with the banjo (which can also be put to good use with the Kermit figure), and a black director's chair with Henson's signature on it. A rare (and expensive if you can find it) figure, it is the centre piece to any collection. All of that being said, the collapse of the company left a specifically shaped void in collector's lives, based on one of the announced and cancelled future products. Next week, I attempt to fill that void.